We had requests to add qualifications from the ICS system. If you are tracking those qualifications in Manage Credentials, they can now be added to the red card. We’ve removed the red font color and fireball icons from CICCS related credentials and activities, and with it any editing locks – CICCS credentials and activities are now yours to control. We had feedback that there are CICCS credentials that do not apply to any users at certain departments. But, because the solution was mostly locked down, Administrators could not delete them. Now you can. The credential detail pages are no longer custom. 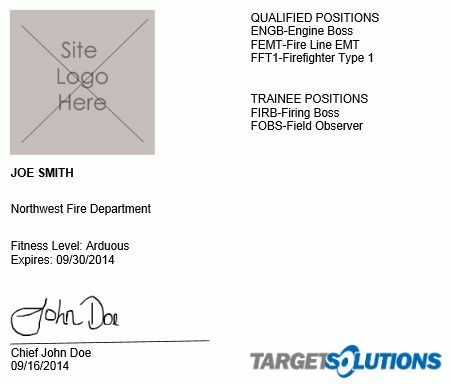 They are structured the same as the details pages for other credentials. This is good news for the clients who requested a way to prevent users from submitting experience records. With no Record Performance button, access to experience record activities can be completely controlled by the Administrator. Which users need red cards? Select them in this section. These dropdown menus show every credential in your site. In the Qualified menu, pick all of the credentials that need to show up in the qualified section of the red cards. In the trainee menu, choose the credentials for the trainee section of the red cards. Note that only credentials that the user actually possesses will show up on the card. To save you some time, we’ve already added the standard CICCS credentials to both sections. But feel free to remove or add to our selections. These dropdown menus show every credential in your site. Pick 3 different credentials to represent the 3 levels of fitness. We’ve already added the standard fitness credentials to these sections. But if you’d like to use a different set of credentials to track these levels, feel free to change it. If you want to sign each printed card with a pen, choose “Leave Blank”. You’ll get a blank signature line ready for you to sign. The signature date will default to the day you are printing the cards. But if you’re not sure when you’ll be signing them, you can delete the date and fill it in with your pen later. Don’t want to sign every card? No problem. 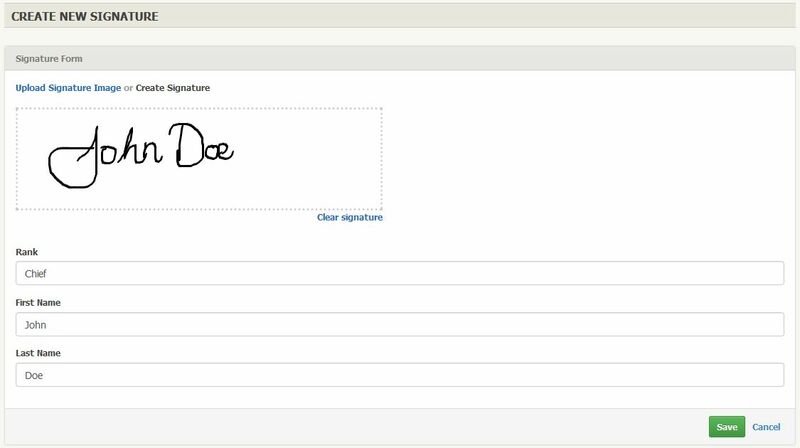 You can choose to upload an image of a signature or use our signature tool to draw one with your mouse (or finger on a touch screen device). You can upload or create multiple signature files. Once created, they are saved by name in the signature dropdown menu. We’ve redesigned the business-card sized red card. It still uses the Avery's Folding Business Card Template #5820, but now features your own site logo. We’ve also added a new type of card, the full card. This card can be created with or without an experience record and is meant to be printed on normal, 8.5”x11” printer paper. IMPORTANT! The red card application is no longer available to supervisors. All supervisors who previously had access to this application will no longer have access.